Don’t wait for your problems to get worse. There’s a friendly staff member at Premier Plumbing ready to help you today. 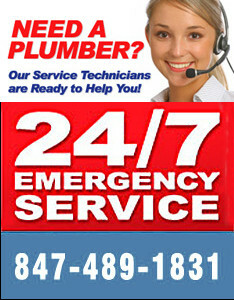 Plumbing services are provided 24 hours a day, 7 days a week. Our plumbers are clean, professional plumbers who are dedicated to your complete satisfaction. We serve the Chicagoland area including surrounding suburbs. You will get free estimates from some of the best plumbing contractors in your area. We know how inconvenient and expensive it is for you to miss work or wait for plumbing service. You no longer have to lose precious work time. We have extended our normal working schedule during the weekdays as well as weekends. After these hours, on-call emergency service is always available.